Researchers doing drug metabolism studies face many different challenges in the discovery and development pipeline. But they have one thing in common - the need to get the right data to chemists and biologists, as efficiently and quickly as possible. If your priority is rapid throughput in the late discovery stage, you need to identify the top 5-10 metabolites for a very large number of drug candidates, as quickly as possible. Designed with productivity in mind, our QTRAP and high-resolution MS solutions enable you to outperform your throughput targets for fast and efficient metabolic stability and soft spot analysis. If you work in pre-clinical development, you need comprehensive detection of metabolites and catabolites to ensure no low-level or toxic compounds are missed. This work can be extremely complex, and with enormous consequences for therapeutic safety. With SCIEX Advanced Biotransform Solution, you can acquire data for every detectable metabolite in a single injection with SWATH® Acquisition, so you have ultimate confidence in your results. And for the complex biotherapeutic catabolism studies, you need the most advanced data processing algorithms, for automated and accurate analysis of peptides, proteins, fusion proteins and antibody drug conjugates. Confident advanced metabolism and catabolism. Gain a comprehensive view of your drug metabolites or biologic catabolites with the confidence low level components are not missed. Advanced Processing for Biotherapeutic Catabolism. Automated catabolism and biotransformation analysis for peptides, proteins, and fusion proteins, including antibody drug conjugates. Modern drug discovery environments depend on the quality and accuracy of results from in vitro and in vivo studies to select new chemical entities (NCEs) or new biological entities (NBEs) with a high potential for clinical success. 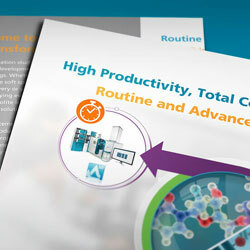 Whether you are doing high-throughput soft spot analysis, or comprehensive identification of drug metabolites and peptide catabolites, you need fast and accurate results, every time. SCIEX has developed the most advanced and integrated Biotransform Solutions available, giving you a complete workflow with the ultimate confidence in results. 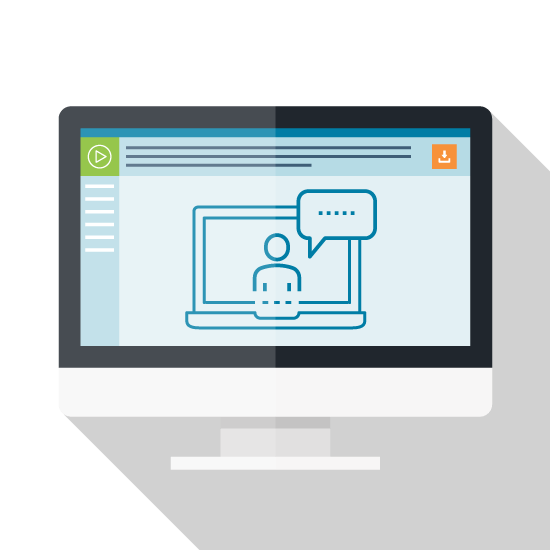 Achieve the productivity and throughput you need to keep your projects moving, and have complete confidence that you’re not missing any low level or parent-like metabolites in your sample. 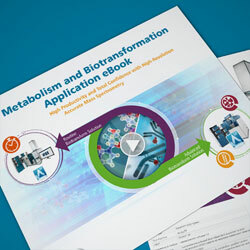 This eBook will guide you on how to transform your metabolism studies for small molecules and biologics with SCIEX high-resolution accurate mass spectrometry systems and software.